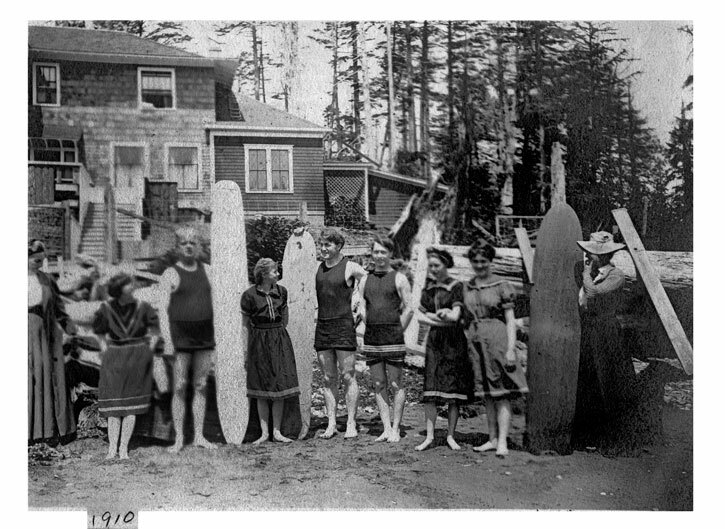 Although this surfboard has been on display for several years now at Surfing Heritage, we wanted to share the additional photographs that add to this amazing artifact from the early 1900s. It shows that surfing was taking place on the west coast, concurrent with George Freeth's arrival in southern California around this same period. Thanks again to Gavin Kogan and his family for allowing us to share this historic surfboard with all of you. To view the family photos and read an excerpt from the Surfer's Journal article, please CLICK HERE.